Assisted living facilities are housing options for seniors who may require some help with simple everyday tasks but are otherwise healthy and independent. While assisted living can be the best option for the elderly depending on their health needs, there are many misconceptions associated with it. To help clear the air, here are some common misunderstandings and pertaining facts about assisted living. Loss of Independence – Most people assume that in assisted living facilities, the elderly live a life entirely dependent on their care providers. Fact – People move into assisted living communities because they require at least some form of assistance with their daily tasks. But these facilities strive to help their residents preserve as much independence as possible depending on their health. Activity directors at these centers create programs to aid the residents’ mental and physical health. Large Expenses – Many defer moving to assisted living homes thinking these are expensive. 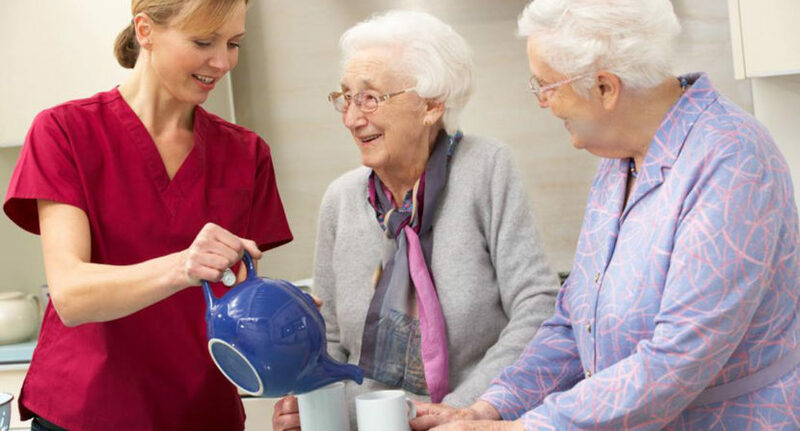 Fact – The expenses are always relative to the facilities available at each assisted living home. You can select one as per your budget. And also, when you compare the costs of living at home with the expenses of assisted living, you will not find much difference. When you add the costs of round-the-clock care, medical treatments, therapies, meals and other facilities, assisted living turns out to be a reasonably-priced residential option for seniors. Lack of Social Life – People assume that assisted living means a life of loneliness away from your family and friends. Fact – Assisted living doesn’t have to mean you live a sad and lonely life. Your family and friends are welcome to visit you. Also, every good facility has programs where seniors can participate and enjoy. You also have the company of other people your age. Residents are encouraged to pursue their hobbies if their health permits. Most facilities arrange excursions and entertainment programs on a regular basis. Many people decide against assisted living due to these prevalent assumptions. But with some research, you can find the best assisted living home for you or your loved one.